A Most Violent Year moves with a steady and deliberate pace, captivating with an intensity that feels like it could turn at any moment – much like the self-made businessman at the centre of the story. Abel Morales is an oil man. A Columbian immigrant who has striven to succeed legitimately and carve out a piece of the American Dream for him and his family. The first things we see in the film are Abel (Oscar Isaac) his lawyer (Albert Brooks) and one of his trucks emblazoned with Standard Heating Oil – the same name as Isaac’s character in Drive in which he starred alongside Brooks. Where Drive had the garish stylism of the 80s, A Most Violent Year – set in 1981 – couldn’t be more different: it mutes its colours and completely tones down the style to create a dulled wintry New York more in line with Sidney Lumet. A more mature and meditative film that carries the measured approach of its cool-headed protagonist. Where Gosling’s Driver was liable to crash the film into sudden chaos, Abel exercises a control that keeps the film levelled, intent on maintaining his companies growth and keeping his hands clean. This is becoming something of struggle however, considering that his growing success is making him the target of multiple hijackings, and subject of criminal investigations simultaneously. The films title, though misleading in terms of genre, references the peak crime rates of New York in 1981, the climate in which Abel’s drivers are hunted down. Abel, a man of morals, knows that he must resist the temptation to retaliate, especially whilst being monitored so closely by the assistant DA (David Oyelowo) and whilst he tries to secure a sizeable loan for a property in which he has invested everything. This doesn’t actually seem to be the prime motivator for Abel though, a first-generation immigrant who is defined more by his principles: a resilient man tested only by his wife, a steely Brooklyn mob-daughter who threatens constantly to take things into her own hands – her emasculating shadow captured perfectly during a roadside incident with an injured deer. In the pursuit of power there comes the exchange of exposure and vulnerability, which is communicated through the lighting in each scene. Most deals take place inside under heavy-set shadows, or with curtains drawn, or silhouetted against the sun. Only when someone is exposed are they lit from the front – it’s almost jarring the first time this happens as it feels so out of place in the film. It seems the pacing and filming style are intrinsically tied to themes within the film and work subtly enhance the performances, which are impressive in their own right. 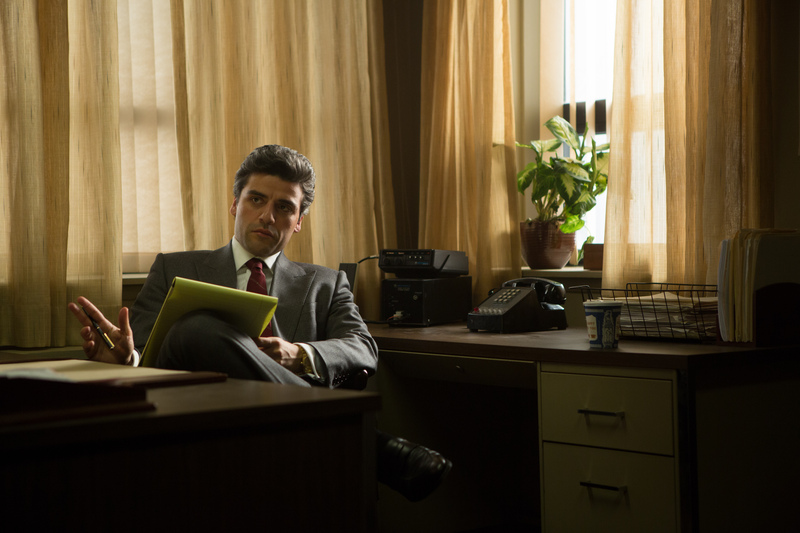 A Most Violent Year is a boldly confident film – and it deserves to be.